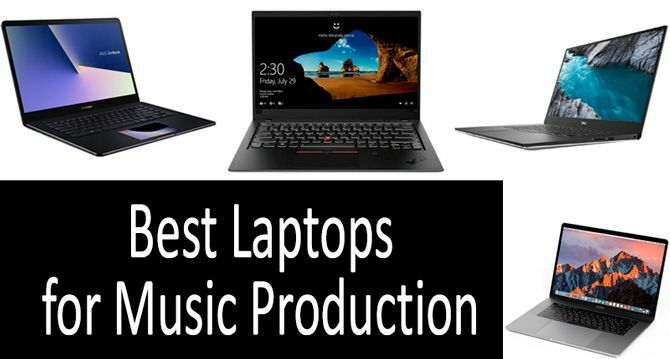 This guide will tell you about the TOP-5 best laptops for music production and their types based upon the following elements: the operating system, built-in mics, and processors. Learn what makes them music-making devices and what you need to create your own high-quality music. Read a detailed FAQ section to get answers to the most common questions and take a look at a chart showing the key features of the most popular models available on the market. How does a laptop for music production work? What are the types of computers for music production? It's easier to create music in the 21st century than ever before — this much we know. As recording technology becomes more and more accessible to consumers, this reality only becomes more real, giving people cheap tools that were once so expensive that they were only housed in studios. As a result of recording and production technology becoming more widely accessible, anybody can record their own music or become a star. This is why the chart-topping hit “Crank That (Soulja Boy)” by Soulja Boy Tell'em could rise so high despite being created on a free program called FL Studio and why Car Seat Headrest's masterpiece Twin Fantasy could become a cult classic despite being recorded largely into Garageband, a consumer-friendly program included with MacBooks. No longer are accessible music production tools viewed as a lack of professionalism, but rather as simply another way of making music. Computers have played a huge role in this development, with the commercialization of the laptop and the aforementioned free software giving anybody with an internet connection and artistic ambition the ability to create their own music. I even relate to this statement as I definitely would have not become a musician if I didn't have the opportunity to hone my skills on the family computer while in high school. Being able to create your own music whenever and wherever you want has revolutionized the industry, allowing anybody to become their own producer. Living in a world with platforms such as Bandcamp and Spotify has only made this easier, allowing artists to subsequently self-publish their songs, removing the need for labels. However, to even begin creating the music you want to do, you have to have the right tools to do so. This is why I believe that finding the right laptop is so essential, as it can often be the start or end point of the musical possibilities you have when creating music. In this Buyer's Guide, I'm going to walk you through just why I think this, showing you the purpose of having a laptop for music, what that even looks like, and which ones are truly worth looking into. So, without further ado, let's get right into it! It should be stated that no laptops are inherently made solely for music production. Though there are certain models that are geared more heavily towards art and subsequently music, laptops are made to be versatile machines. Laptops become music-making devices with the aid of different types of software, typically referred to as Digital Audio Workspaces (DAWs). DAWs are essential tools for those looking to create music. Not only do they allow you to record music, but they also allow you to organize, produce, and even master it. You don't need a lot of money (or, in some cases, any money at all) to use a DAW to record, as there is often a large variety of different types of software that are either available for free or come with the computer. The way a DAW typically works on a computer for music making is that it takes an input sound, typically a microphone, and allows the user to then organize the sound and manipulate it, creating what is referred to as a mix. This mix can then be released as it is or mastered into a final recording. What types of DAWs are there? There are a few different types of DAWs that are used in the music industry, but the most prominent ones by far are ProTools and Logic Pro X. Those are the industry standards, with many different audio engineers having their own personal preferences. Both programs cost money, but only Mac laptops can access Logic Pro X, making that type of laptop a more significant purchase for musicians that have that preference. Which one you want to work with is dependent on your personal preference, but it's worth noting that both ProTools and Logic Pro X let you do similar things, so the differences are very subtle. The program Garageband is included with all Mac computers and is essentially Logic Pro-lite, so you can often gauge if you'll enjoy Logic based on what you think of Garageband. However, regardless of which type of operating system you get, there's always the possibility of Reaper, a type of DAW that is truly a good example of a nearly free program that gives you the same customization and functionality of the most professional DAWs currently on the market. Why nearly free? Well, you can download the program for free, but you're recommended to make a donation. This accessibility is also why Reaper is such a popular program for many musicians, as it's accessible by virtually anyone with a laptop and very similar to use on the same level as the industry standards. There are plenty of other DAWs available on the market, but those are the three most important ones to know. What Are the Types of Computers for Music Production and Their Differences? The different types of laptops for music production are mainly based upon three elements: their operating system, built-in mics, and processors. To elaborate, the OS will often determine which types of DAWs the computer can access, the built-in mics allow people to record their music directly to the computer, and the processors allow the computer to keep track of many different files at once. Thankfully, most computers on the market today are capable of handling a large number of tracks happening at the same time, so the processors aren't something you should necessarily base your entire search upon. To the same degree, built-in mics typically aren't good and I'd recommend more than you invest in either a USB interface, a USB microphone, or using your phone to record if you're planning to record. On top of this, many types of electronic music can be made solely through sampling other recordings, so the microphone part isn't even necessary. An added benefit to some computers is that they have a lot of storage to store your music on. This is why I recommend getting a computer that has at least 256GB, though it's always possible to buy an external hard drive if you don't have enough space. When looking to purchase a computer for music production, it's most important to look at the operating system. The other factors mentioned in the previous section will also affect whether or not a certain laptop is good, as the factors that distinguish certain computers are also the things that consumers should be looking out for when in the market for a new device. Take a look at a review of TOP-5 best products within the price range from $1500 to $2500 that are available on the market. These models have different screen resolution, with the highest one reaching as much as 3840 x 2160 pixels. There are items that support very large files of music, made of durable high-quality parts, and have a handy touchscreen. This is a truly wonderful laptop that is worth looking into for anyone who wants a versatile computer. MacBooks have set the standard for musicians everywhere, having support for the most programs and having intuitive interfaces that make it incredibly easy to quickly pick up and begin playing. I also have a personal preference for Logic Pro X, with MacBooks being the only way that you can even use this important DAW. There is a stereotype of Macs to not be as customizable as other devices, but this isn't nearly true. Even in the past 10 years, the number of options for those looking to make music on Macs have risen exponentially and now considerably tower over the other operating systems. On top of all of this, Macs are also great examples of truly durable design, with the computers themselves lasting for very long periods of time. The only downside about having a Mac laptop is that they are typically very expensive, making price a hugely prohibitive factor for some people. However, it's worth noting that you truly get what you pay for, so think of it as a long-term investment. Any MacBook that you buy will likely last for 4-5 years, allowing you to truly get the most out of it. One of the first things you'll notice about this Surface Laptop is that it is in the same price range as the aforementioned MacBook Pro, but has a Windows Operating System. I'm including this option on my list because I think it's worth having a high-quality computer that is Windows-capable, but it's worth saying that your DAW functions are a tad limited if you're using a Windows-run system. That being said, though, this product has a really durable design and also a handy touch screen, making it even more intuitive to use in live performances and other situations that require more interactive gestures. I also love how it comes with 512GB, giving you a lot of storage to save things on. If you're somebody who doesn't need Logic Pro X but still wants a computer that gives you a great deal of versatility, I recommend you get this Surface Laptop. You can get ProTools, Reaper, Ableton, and a variety of other DAWs to satisfy your need to make any type of music you want to make. The only real limit with a device like this is your imagination, as there's also some pretty hefty processors and RAM that make it easy for your computer to run incredibly fast. Like the aforementioned MacBook Pro, this computer also has the capability to be used for gaming and other activities, only adding to its overall efficiency. If you're somebody who is looking for a computer that isn't as expensive as the two models mentioned already, this Dell XPS 15 9570 is certainly worth looking into. As far as the operating system goes, you'll run into the same issues I mentioned above with the Surface Laptop 2, but there is still an ample amount of possibilities to customize. It also comes with 512GB of space which is a great amount to get you started. Dell computers are also known similarly to MacBooks for having incredibly durable designs, often being able to last for long periods of time and being able to take a significant amount of wear and tear as well. If you're in the market for something that will give you a great amount of functionality for a smaller price than the more high-end models on my list, this is a good option to seriously consider. Lenovo ThinkPads are great computers to get if you want to have a laptop that you can use for a variety of other purposes alongside music. I say this because they can handle music production just like the other devices on this list, but they also give you a significant amount of wonderful features for other types of usage. 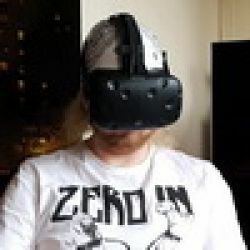 For example, the included webcam and built-in microphone for this device are both very high-quality, allowing you to use those for other activities such as gaming and video calls. The built-in microphone even works for basic recording, making it easier to record on-the-go. With a 14" screen, this is also a more accessible and portable model for those who want to avoid 15" or larger screens. If you've already spent time looking into the various types of Operating Systems and are completely set on getting something with Windows functionality, then the Asus Zenbook Pro 15 UX580 is the laptop you should be looking into. As the most expensive item on this list, it is built with incredibly durable and high-quality parts that will last you a long time. I also know many people who swear by this laptop, saying that they've been using theirs for a while with no issues. During my time using it, I was surprised at its ability to support very large files of music, running incredibly smoothly with no hiccups in the process. However, at the end of the day, I ultimately prefer the MacBook Pro on this list, especially considering that it also costs cheaper overall. It's also worth saying, though, that this computer comes with 4 different USB ports, with two of them being USB 3.1-Type C and the other two being USB 3.0. This allows you to connect a multitude of devices at the same time, something that other models (including the MacBook) can't do without a USB hub extension. What is the best computer for music production? Out of all the laptops I've used for music production throughout the years, the MacBook Pro 15-Inch is the most versatile and worthwhile. In fact, I actually use this model of computer to make my albums today and am typing this article on one! The reason why I think that the MacBook Pro 15-Inch is such a good computer is just because of how it supports nearly all of the music production software you could want. You can use ProTools, Logic Pro X, Ableton, FL Studio, Audacity, Garageband and Reaper. In terms of other computers on the market, there are currently none that give you that much flexibility. In fact, all of the other operating systems aren't able to support at least one of the aforementioned DAWs, meaning you have to get a Mac to have true flexibility. That being said, I totally understand if the price point of a Mac stops you from wanting to get it. However, I also believe that if you purchase a Mac, you're committing to a product with a durable design that will also allow you to make some truly incredible music. Can you use any laptop for music production? Yes! Any laptop will be compatible with at least some type of DAW, allowing you to make whatever type of music you want to make. However, it should be noted that some models and brands are better than others, something I highlight in the reviews portion. Any size laptop will work for music making and the screen size will likely depend on your personal preference. Personally, I prefer having a 15" laptop screen, as it is enough space that I can organize complicated files in a DAW but small enough that the computer is portable. I used to have a 17", though and didn't have a problem at the time, but in retrospect think it was too large for my taste. That being said, I also have friends who are also professional musicians and use 13" laptop screens. It's all about your personal preference, but I recommend 15"! Are gaming laptops good for making music? Yup! A laptop that is specifically for gaming likely has great hardware, as running games takes up a lot more processing power than making music does. So, if you are getting a laptop for gaming, you'll definitely be able to use it for music. What specs do I need for music production? There are no specifications necessary for music production. All computers can run some form of DAW and any computer made in the past 10 years will offer you enough processing to handle pretty complex amounts of music. So, don't worry about this aspect at all when looking for a laptop for music production. Being a musician in today's technological society is easier than it has ever been before. Because nearly every model of a computer has the possibility to have the power of a DAW in it, there's truly no wrong answer when determining which laptop is better for you. However, there are some options that give you more versatility than others, which is why I hope that my information in this article has been helpful enough so you can make an informed decision the next time you're looking for a laptop for music production!